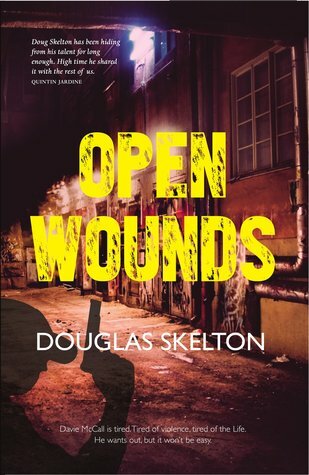 Today Douglas Skelton is talking on the blog about bringing a series to a close. For fans of series fiction as I am, this is certainly an interesting read. 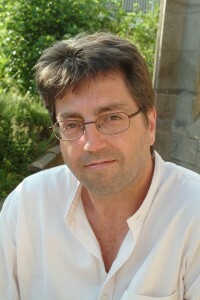 Douglas is a crime writer who specialises in non-fiction and fiction from the darker side of the world. His non-fiction charts the true life exploits of murderers, criminals and cause celebres. His fiction focuses on the underbelly of Glasgow – Scotland’s biggest, industrial and working-class city; with a history of tobacco barons, Victorian elegance, manufacturing, gangs, culture and the Commonwealth Games. A hard but sentimental city. A city with a fierce and abiding heart. A few months ago I typed the words THE END to bring my Davie McCall quartet to a close. Was it with a heavy heart that I brought the series to an end? Can’t say it was, not at the time. But now that the book is out I’m beginning to wonder if doing so after only four titles was the way to go. The series, which began with Blood City, was always designed to be a quartet. I don’t really know why. It was just the way the conversation went at the pitch meeting. Open Wounds was written first, although it wasn’t called that then. It’s changed a little to suit the events of the first three but the ending you read now was pretty much what I wrote back then. So why bring it to an end? Maybe it was because I didn’t want to be tied down to writing the same character. Not that there’s anything wrong with that. But there are more stories I want to tell and they don’t feature Davie and his pals. Davie’s hard to write. He doesn’t say much and I like writing dialogue. He broods. He internalises everything. But I do like him. I like his stillness. I like his taciturnity (is that a word? Ah, hell – I don’t care.) I like the fact that he has this ability cut through the bulldroppings – usually by battering seven shades of it out of somebody. I often wish I could do that. There’s one question I’ve been asked about the final book more than any other. Given my tendency to bump major characters off, is Davie going to survive? In other words, if Davie goes off to that big remainder store in the sky, how can I ever reverse my decision and return to his world? Well, naturally, I’m not saying at this stage. However, I can tell you that at least one major character does remain standing at the end of the day and that means perhaps – maybe – possibly – I’ll return to it all in the future. In the meantime, I’m moving on. Davie’s moving on. Somewhere. You can find Douglas on his website, Twitter and Amazon. great presentation and valuable information – great work! This is really interesting! Thanks, both. I think most of us spend our share of time thinking about how we’ll get a series started, or move it along. But we don’t always think about how it’s going to end. Fascinating! I felt satisfaction when I closed out my series. True, I’d grown used to writing about the characters, but I’d come full circle and there was nothing more that needed to be said. Better to end on a high note, right? Sounds like a great series. Hope you left some wiggle room in case you need to bring this character back. Ala Sherlock Holmes.